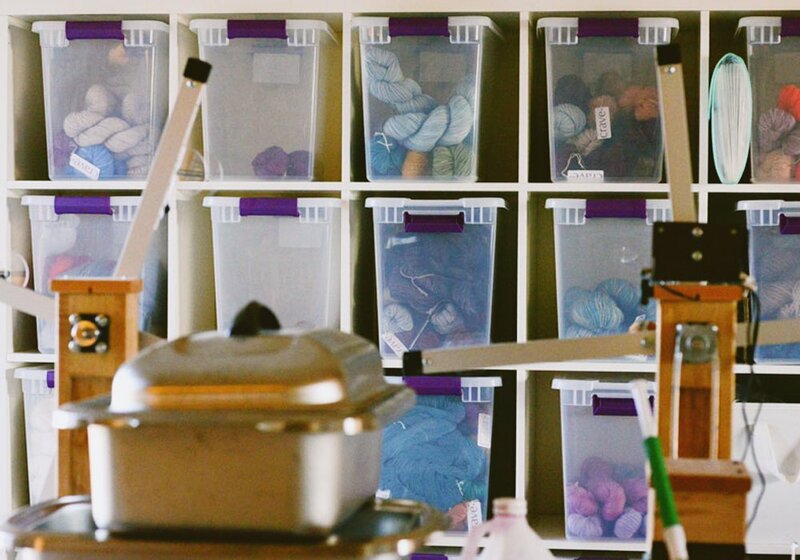 I’m so excited to kick off the inaugural Meet a Maker series with the remarkable lady behind Crave Yarns! 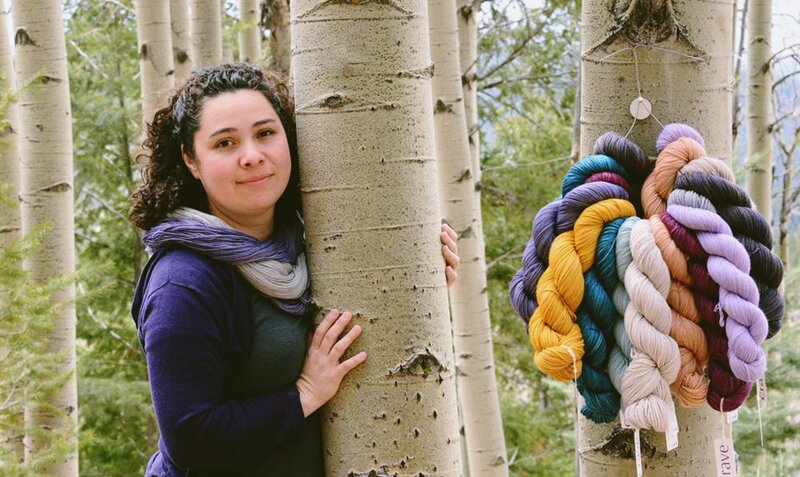 In addition to being a mom and a doctorate student in ethnography, Amor is following her fiber dreams over at Crave Yarns, based out of Santa Fe, New Mexico. Having knit with Crave Yarns, I can say that they are mmm-mmm good. Meet Amor, folks! Hey Amor! 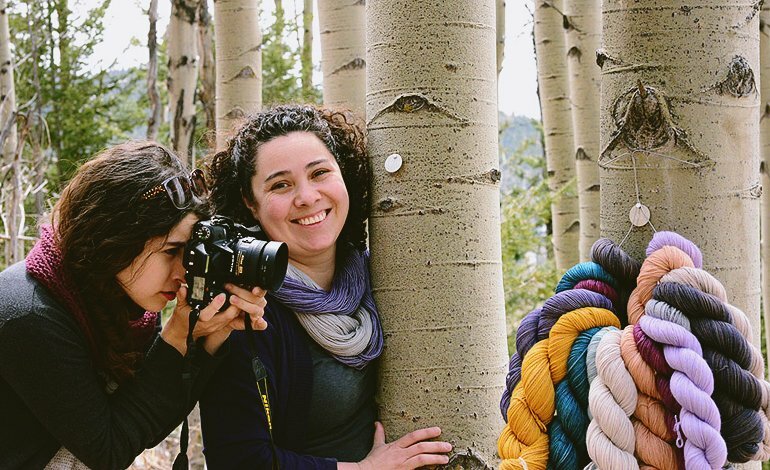 What drove your move from ethnography to Crave Yarn? Was it a surprise for those around you? Actually, my love of fiber and knitting (and occasionally crochet) has always been a hand-in-hand prospect with all of my other ventures, including ethnography. The practice of ethnography means I spend a lot of time with people whose circumstances I find interesting and valuable in understanding a particular aspect of human experience. This is only possible because individuals, like those I’ve worked with, have the grace and patience to let me into their homes and into their lives. As a gesture of my gratitude for the incredible generosity of time and honesty that they allow me, I often knit gifts for them. Giving them something that I created with my own hands, that was intended uniquely for them, is my way of saying that my time with them and our relationship is valuable beyond the context of research. 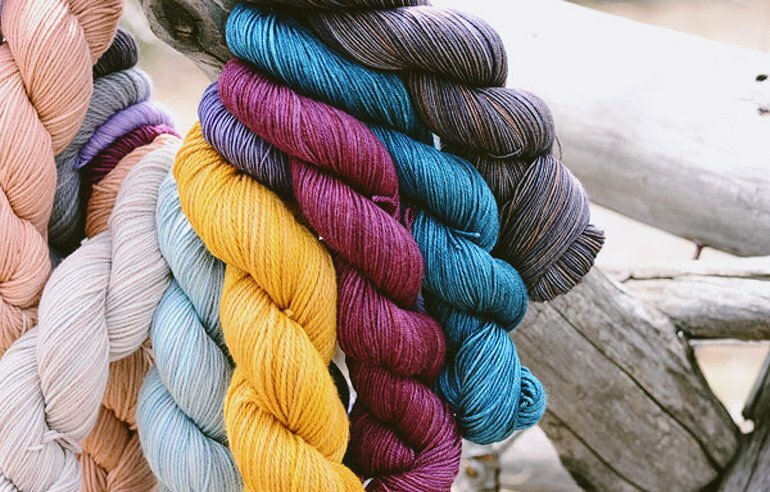 Bold, rich colors from Crave Yarns. 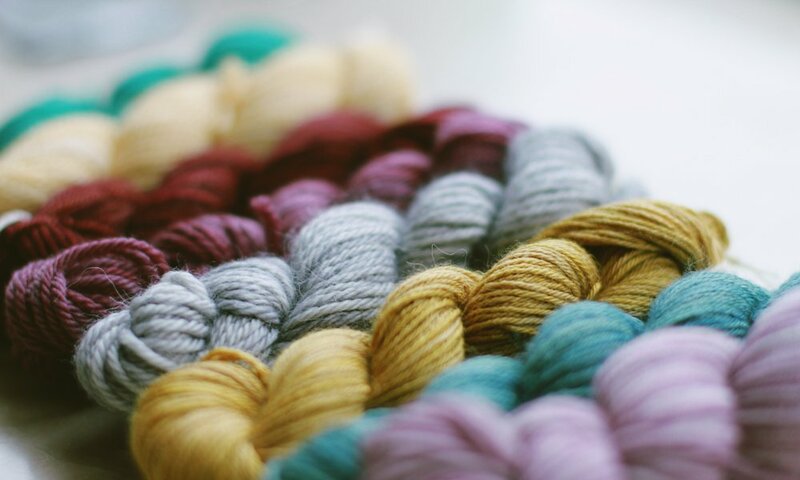 A bouquet of Crave Yarns. It was, in fact, the process of planning a gift that brought me to dyeing. I wanted to knit a shawl for an informant and, eventually, very dear friend of mine, but I couldn’t find any yarn in her favorite color. So I started doing a little research online about yarn dyeing. It was then that I stumbled upon Claddagh Fibre Arts, which is fiber artist Kim McKenna’s site. I ordered Kim’s downloadable dyeing instructional “Colour Compass,” which is a step-by-step guide that results in a 108 color spectrum of dyed yarn samples. Well, I got a little carried away and ended up with more than 400 color samples! Needless to say, there was no turning back. Long story short, I delivered a shawl knit in my friend’s favorite color, and I acquired a new obsession along the way. Well, you might describe me as a woman of eclectic sensibilities, eternal optimism, and completely impatient enthusiasm! Was it a surprise for my family and friends? Well, you might describe me as a woman of eclectic sensibilities, eternal optimism, and completely impatient enthusiasm, so, no I don’t think anyone was surprised per se. In fact, everyone kind of has a hand in the workings of Crave. Crave Yarns is a family affair. Amor with her older daughter who helps with photography. My husband loves naming colorways and is always inspecting my skeins on the drying rack, often proclaiming the most recent batch as his new favorite. My youngest daughter has a lot of requests for colors she’d like me to experiment with and many of my offerings are the result of her color instincts. My oldest daughter and I handle most of the photography. And both girls, ages 10 and 17, enjoy testing Crave yarns on their own knitting needles. It’s a joint venture, to be sure. What’s your process like? How do you come up with colors? In terms of coming up with colors, I’d have to say that just like a writer is always ‘writing’ even when they have no physical means of “writing” at their disposal…I am always “coming up with colors” even when I am nowhere near my dye pots. How I choose which ones I’m going to actually experiment with probably has something to do with my mood, I suppose, but the specifics of such a process remain a subconscious mystery to me. 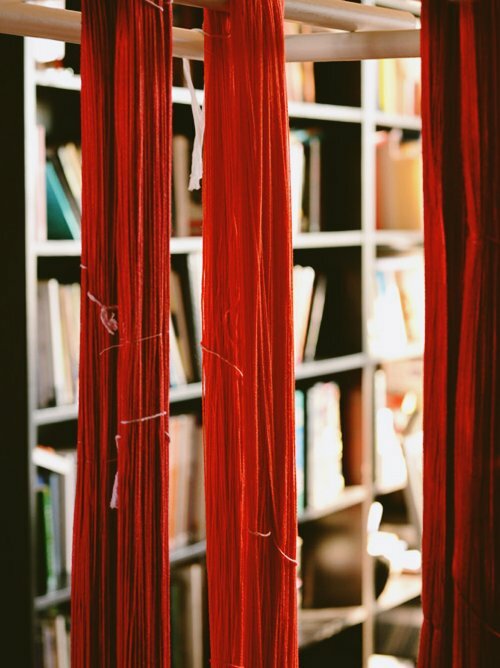 Dyed yarns drying on a rack. The benefit of going so overboard with my yarn samples, during my earliest days of dying, is that I got to witness how colors engage each other in a gazillion combinations. So I have a good sense of how to get in the ballpark of what I’m looking for. Still, color is so dynamic that my work is still filled with happy surprises. It’s all very playful, really, which I am absolutely addicted to. So much of the result is defined by how the yarn is introduced into the dye bath. I can use a single color formula and get half a dozen different colorways out of it…each being determined by how I manipulate the yarn’s interaction with the dye. Little adjustments can have a grand and beautiful effect. I do tend toward semi-solid and soft variegated colorways. I certainly appreciate the bold beauty of a high-contrast variegated skein of yarn, but they don’t speak to me or set my heart ablaze as much as the soft undulating richness of color that comes with semi’s and soft variegated yarns. It’s the depth of layered colorways that really draws my soul out in song. Sound silly? Well, this is why I do what I do…it’s love! 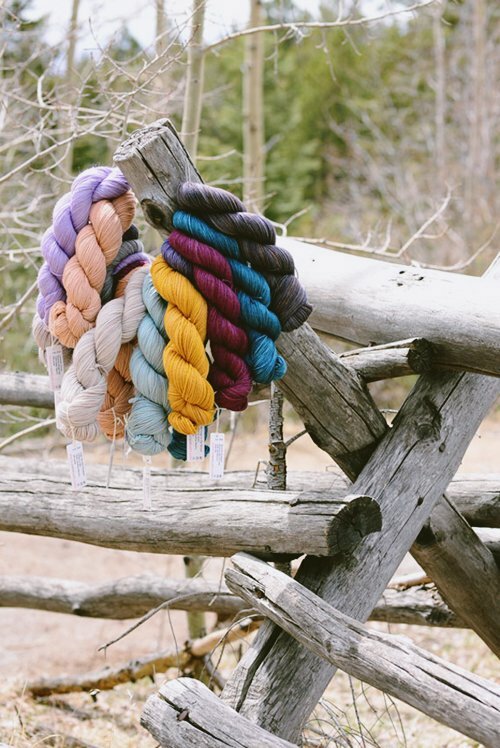 Yummy colors from Crave Yarns. 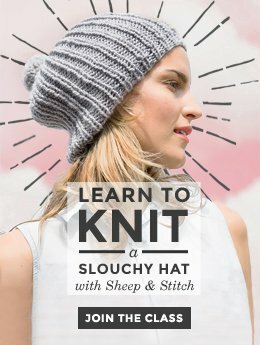 How long does it take from a color idea to a finished base that you can apply on yarn? The realization of an idea takes only about as long as it takes me to measure out my parent colors and warm the dye pots. I usually start with a single skein to experiment with. But the whole process is fairly accommodating to “whim” methods. And because I’ve done a ton of teeny-tiny experiments my whims are now honed well enough to avoid muddy colors from the start. This might be like asking a parent to choose a favorite child, but I’ll do it anyway: do you have a favorite base? 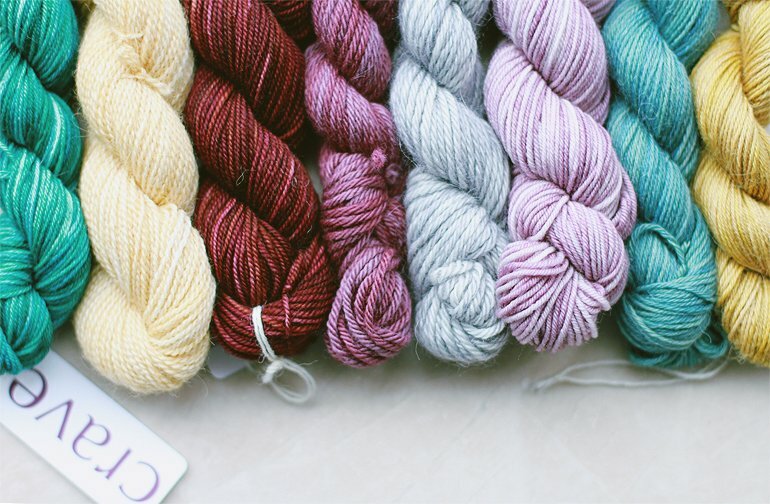 Before I launched Crave I spent a lot of time searching and testing yarn bases from many different sources, and only chose my absolute favorites to offer in my Shop. And I still keep my eye out for new bases to add to the line up…but only the ones that make my heart quicken will make their way to the Shop. Ultimately, I believe that if you are going to spend hours and hours handling your yarn, it should be wonderful enough that you enjoy every stitch…such an investment deserves decadence, don’t you think? And I can honestly say that across my line of yarn bases and at every price point, that’s what you’ll find – my fingers can attest. What’s the best part of running Crave Yarn? It’s a tie…the yarn, yes, but the yarn so graciously leads me to the people. I can easily say that I fall in love with my yarns and colorways each and every time I brush my hand across them on the drying rack or work a stitch with them. But I am through and through a people person. I love connecting with customers, designers, shop owners, bloggers. The fiber world is full of the most friendly and generous people in the world. The fiber world is full of the most friendly and generous people in the world and I love every moment in which I get to chat, email, talk or stitch with other head over heels fiber lovers. It’s all choir singing, day in day out…and I LOVE IT! Thanks for enlightening us. 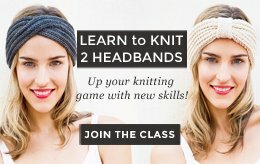 What’s next for you and Crave Yarn? The next big milestone for Crave is to branch out to the big trade shows and fiber love festivals. So that means lots and lots AND LOTS of yarn to dye so that no one visiting a Crave booth will have to leave with their yarn cravings unresolved. Until the next bout of yarn cravings begins to simmer, that is. 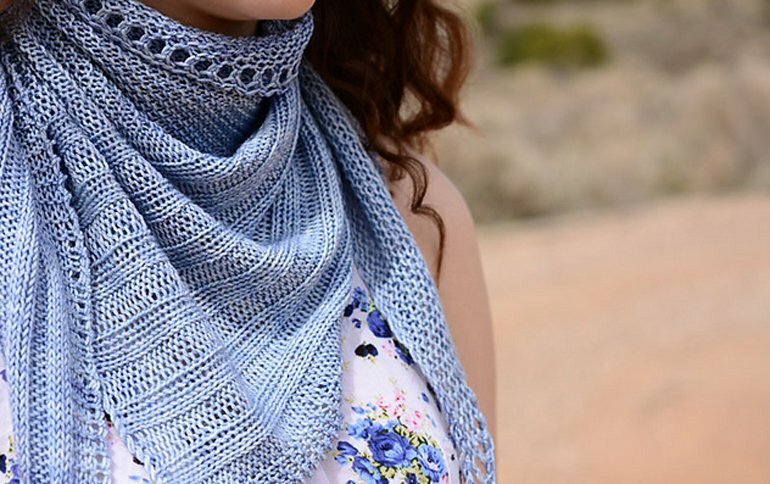 Wayland is a shawl pattern from Amor of Crave Yarns. Lastly, I’m very excited to be publishing my first original design “Wayland” in May. Wayland is an airy shawl that thrives on the elegance of simple and clean lines. This is the first of a heap of ideas that I have that will let me explore my design side and show off my beloved yarns and colors. I’m very excited about the path of exploration. You can find me at craveyarn.com. I’m also on Ravelry, Pinterest, Twitter and Instagram. I especially love Instagram, a picture is worth a thousand heart-beat skipping smiles…so come join me! Thank you, Amor! 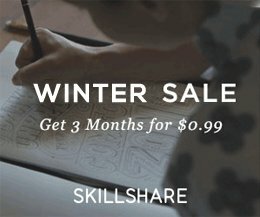 Are you a maker? Or do you know a maker who would make a great profile for this series? Shoot me a line! These yarns are so pretty. I wish we had this in Singapore. Do they shop internationally? Thanks for sharing this info about the process. These yarns are gorgeous! They really are gorgeous! I have a sample pack to play with (thanks Amor!) and the colors are diviiiine! Thanks for this interesting article. I enjoyed it. Glad you liked it, Barbara! Very interesting article. I have touched some of those gorgeous yarns, they are so very lovely soft. I love your site and pictures. They remind me of my blog site 🙂 I was wondering if you would allow for me to use one of your pictures on my blog site. It’s a Christian blog and non profit! I just love to write about our lives being a tapestry. Id be happy to give you credit.